and fact is…. in some of these constitutional monarchies, people have a far more level playing field as to gain success via, real equal access to higher education…. health care for all of the citizens…. a higher standard of living for the bottom 60% of its citizens…. No excuses for Harry. I wouldn’t trust him with my plane. They say hang out on holidays, not hang IT out ! Another saying : ” you get to know a person on a trip with him or her ” I should say so . Close encounter after a short introduction. Wow. You call that Royalty. I guess you are a little hardened after the disasters with your presidents, JFK, Clinton, Hillary, FDR, Washington and the list go longer. so, because he was horsing around naked in his hotel room, this makes him NOT TRUST worthy???? Clinton, Hillary, JFK, FDR …. How were these people disasters???? I base this on the notion that monarchy governments are in opposition to modern tenets of equal justice and equality espoused by modern society. Let us take modern Britain. Queen Elizabeth II has, according to Forbes, a net worth of 500 million and receives a stipend from the government of $12 million per year. The Crown Estate, which she and the other royals receive benefits from is estimated to be 10 billion dollars. The royal family does not have the same tax burden as other citizens and is not subjected to estate taxes and other confiscatory taxation. While ordinary citizens have generally one vote, (except for residents of the interior of London which have nearly none in local issues) the Sovereign may dissolve the entirety of parliament and cause another election. The power wielded, even if not exercised, is tremendous. I don’t see how Britain can justify the current monarchy and at the same time hold itself to be ardently striving for equal rights of the people when at the same time giving a particular family or class of people essentially free reign politically and economically by reason only of birth. And the government in these countries perpetuates this inequality by allowing this to continue for generations. We Americans generally regard the Constitution as a document guaranteeing the ordinary people of the country certain inalienable rights. A monarchy is in opposition to the notion that every person is equal, hence from my connotative definition of “Constitution” I believe it is oxymoronic to couple this with monarchy. One can only look at history to know monarchies have subjugated a great many people. If you look at prior to 1917, Tsar Nicholas II rule an absolute monarchy over Russia, he was first cousin to GB’s George V who was first cousin to Kaiser Wilhelm of the German Empire. Kaiser Wilhelm was cousin to Nicholas’ Tsarina Alexandra who was of the house of the Duchy of Hesse. Here was one example of how interlocked one extended family was and of its dominion over three nations of hundreds of millions of people collectively. That is the political state of Europe then, and we have moved away from this but yet some cling to the past with shadows of contemporary monarchies. While one could argue most remaining European monarchies are rather benign, others in the world are not. One of the worst examples is Saudi Arabia, a near totalitarian monarchy by the House of Saud. The house controls its population and enforces an extreme form of Islam (Wahabbi Islam) as the official state religion of which there is no tolerance for any other religions in the kingdom. The vast royal family enjoys all of the countries major wealth while the nation has unemployment of youth higher than 20% with considerable poverty in this demographic. Women are subjugated greatly. The population cannot vote out the status quo of the leadership. Again, birthright dominance. While all monarchs are not as lecherous as others, the potential for abuse reigns. This is why I am for the abdication of all royalty worldwide because I believe that all persons are born equal and should live as such and be able to achieve whatever success in life their own devices provide them. It should not be an automatic process based upon their parent’s sovereignty. Well… fact is…. they don’t have free reign politically…. and NO more free reign economically than rich people in the USA, or other free countries…. they do not wield the power you seem to think they do…. and certainly not in the WAY, you seem to think they do…. or any power at all for that matter…. we were talking about Constitutional Monarchy…. not to mention there are other Islamic countries that do not have a monarchy, and are still a mess…. 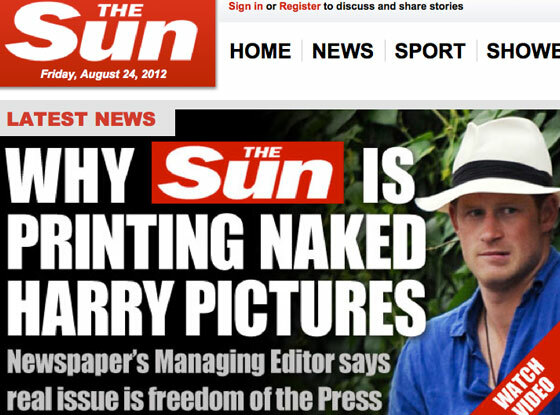 So, the monarchy is not to blame for that…. as for your last comment….. It is NO different than the RICH in the USA passing their wealth and power to their children…. Donald Trumps daughter comes to mind…. the USA may pump out more millionaires, which skews the numbers as to how well the average person in the USA lives…. However, that does NOT make the USA better, or more free than many countries in Europe, that do have a Constitutional Monarchy….. Personally, I have been to several royal houses while in Europe over the years in various countries. They are certainly splendid are as the various museums therein. Most of those royals are at worse a bit arrogant and aloof, but decent folks in general. I don’t see how there can be a coexistence of the aristrocracy having birthright dominion over a democracy or republic of free individuals. I regard the term Constitutional Monarchy as an oxymoron. I understand how in GB the royal family is so interwoven into their culture, I can’t help but believe the world would be better off if all the monarchs abdicated and put an end to this relic of history. What do you think would be better if the Royals were no longer???? and, how would the world benefit by the Swedish, Dutch and English Monarchy were to be no longer???? Constitutional Monarchy as an oxymoron… what makes you say this????? on how low can you go. I am though glad that the SUN isn’t staying on the leash in this instance. It seems to me that a law like the British libel law primarily benefits people that can pay to press their claims in court and that leaves out most people (commoners) embarrassed by a tabloid. I recall reading that the Murdock publishers weren’t above putting obviously ‘shopped photos of their ‘enemies’ in comprising situations in their tabloids. Are any of those people in jail yet? I can’t believe they got away with stuff like that. Gurl, Thanks. Carlos is now 28. We have a natural daughter who is 25, she gets married on 9/22. We went through fertility treatments for ~3 years. We thought about adoption early on and knew it takes awhile. So, we started the process, picked Colombia, and went through the horsesh@t everyone must endure who goes through a foreign adoption. It really went well relatively speaking. We asked for 2 siblings and were approved. However, in 1986 they sent us a photo of Carlos, saying we could wait for siblings but Carlos really needed a home and he looked like me[he really did]. So, of course we said yes and figured we would just go through this again. Then my wife got pregnant! Her pregnancy was high risk and was advised not to travel to Colombia, so I went solo. I met Carlos on 1/26/87. They thought Carlos was 2 or 3[no records]. So, we made 1/26/87 his 3rd birthday. This is the abridged version, Medillin was a drug war zone and there is lots more. We got back to the states in early February and our daughter was born in May. 1987 was quite a year. Gurl, I was blessed w/ two loving parents. I NEVER forget that. I think your daughter has a good mom based on your love of crap and the affection you express for her. Being a parent of my 2 kids was my toughest job. Our adopted son has attachment disorder. That’s a real tough one. For the most part is was just she and I most of her life…. then we moved to Sweden and I got married…. Now, she has a father she NEVER had…. and a GREAT safe country to grow up in and prosper….. Being in Sweden has been really rough for me…. BUT, I would not change it for the world…. I know that there is a much more level playing field here, and she will have a chance to do what EVER she wants…. Nick, I can’t imagine what it must be like for you to have a son with this disorder…. YOU have a strength that is quite admirable…. How old are your boys now??? You have one adopted??? and one biological?? were they far apart in age???? I know exactly what you mean. My dad and I would go to Yale football games back in the 60’s and 70’s. We would tailgate behind our Dodge Dart. There would be limo’s w/ butlers right next to us. My old man loved good scotch. He would talk w/ these old rich guys and they would mumble complaints to him about the food their wives made them eat. So..my dad would cook out sausage and peppers w/ garlic. That was the call of the wild that attracts men from ANY class. Dad would invite them over and they inhaled the food. They would say, can we get you anything. My dad would pull a glass out of his basket and say, “A few fingers of that single malt would be nice.” There were no airs. They were wealthy and felt they had nothing to prove. My old man would talk the same to them as he did everyone and so did they. You are so correct that was not passed down. And, the new rich are even worse. What a GREAT memory you have of you and your father…. yea, nick I rode racehorses for the old guys, when the old monied crowd still thought they had a great responsibility to all the rest of us. One stable had a southern caterer come in every morning- for the whole race meet- to serve all the workers a gourmet hot breakfast with white table cloths and real silverware. You would only get this sort of perk at the ‘Spa’, we would all go back to the grind at Belmont or Pimlico after our summer ‘vacation’. Most of that generation are dead and gone (at least the ones I knew personally) and their children do not have the same moral or social grounding. I’m old-fashioned too, in the sense that I would not get nekkid or smoke dope or dress up as a Nazi when there were strangers around with camera-capable cell phones. Not that anyone would WANT to take pictures of a nobody like me, but still, everybody should have a sense of self-preservation. I do get out my keffiyeh and gelabiya on Halloween and fashion a bandolier of fake dynamite sticks using red-painted toilet paper rolls. An Islamic suicide bomber is way more frightening than Dracula or Freddy Krueger, eh? People are welcome to shoot me in that garb. With their cameras. The first time I did that while living in San Francisco, I was worried that someone might shoot me with a gun while I was riding Muni down to the rock club where the Hives were playing at a Halloween bash. Prince Harry’s antics blamed on product of broken home, family living off taxpayers, growing up on estates & time spent in institutions. This gala was not able to escape the printing of the balls…..
shano, You must have run some pretty good horses? What I love about Saratoga shano is how eclectic it is. Oh the Whitneys and Vanderbilts are there but there is the entire social strata right down to our blue collar family bringing in meatball and sausage grinders. people have a real misconception of Saratoga. It’s more like a huge fairgrounds. As you probably know, you can STILL bring in coolers of beer/ soda. Did you ever ride out @ Belmont, Aqueduct, etc.? My old man also liked the trotters. We would go to Yonkers, Green Mountain, etc. Reverend…. you would think that people would respect the “Vegas” what happens in Vegas stays in Vegas thing…..
TOO bad somebody did not respect that…. I have met and had some rather wild parties in Vegas with some rather famous people….. it is a place where they can let loose a little…. This is NOT so much the case here in Sweden…. WE have a royal family…. and not the same draw tourism wise…. I still like the whole royal thing…. and really in the last 10 years.. the Queen has kinda let down her hair a bit…. having Rock concerts on her Birthday and such… I think she is great…. also the history and tradition is really nice… NOT that they do not have a bloody history and such…. just that Buckingham Palace is so RICH in History…. that is something the USA just does not have…. we have the white house… BUT, to have a family that has ALL of the history going back YEARS and CENTURIES, and in ONE place…. That is just AMAZING to me…. I tried to say this on the blog once before. But is there not a mutual understanding between Vegas and the Vegas attendees, that what happens in Vegas stays in Vegas. The British press was just respecting this. Now on the other hand, why do those schmucks in England still have Royals? Lord this and Lady that? House of Lords for dogs sake. In my house of worship everyone is equal. If whats his jaw came to our house of worship no one would call him Prince, Lord, or curtsey. Some of the gals might ask for a peek of his tweeter but that would be after services. I like the idea of the dressing up to play…. I lived in Vegas for a while… tho this was before the Belagio…. when you live in Vegas, you don’t go to casinos much…. so there was no real gambling…. We had such a GREAT time tho…. we walked EVERYWHERE…. and I mean EVERYWHERE…. and all night…. It was so fun seeing her face in awe of all the fabulous fun things in Vegas…. it should be fun tho…. nick I rode out in the morning for trainers at Saratoga in the 1980’s. both flat runners and steeplechasers. It was a blast back then.